Gaillardia 'Gayla Red Spark'. 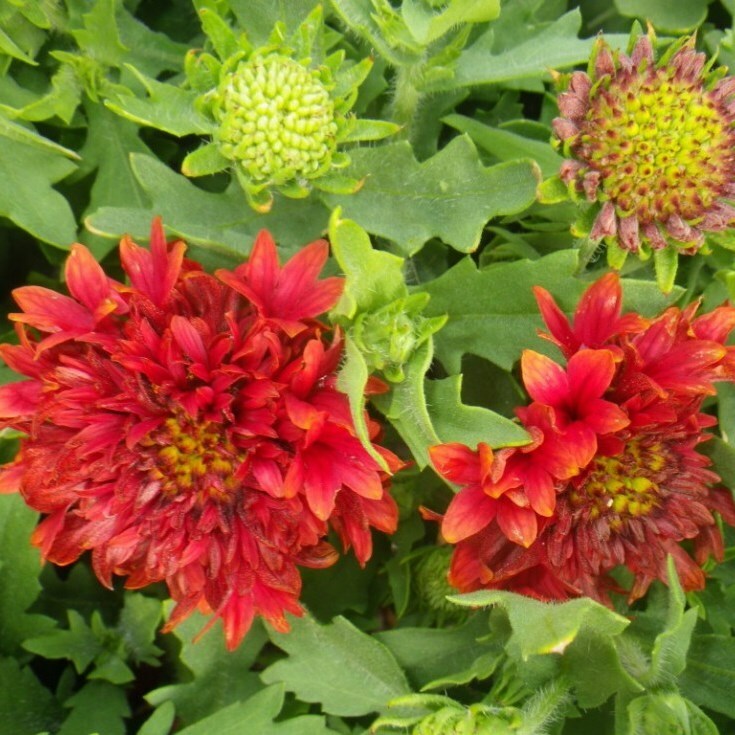 This new Blanket Flower features large red double flowers. Quickly forms a dense clump topped with lots of flowers. An interesting and colorful addition to any sunny butterfly garden. PPAF.